"The beauty of an icicle, is so like the heart of a friend. We behold it with awe, our amazement never ends. 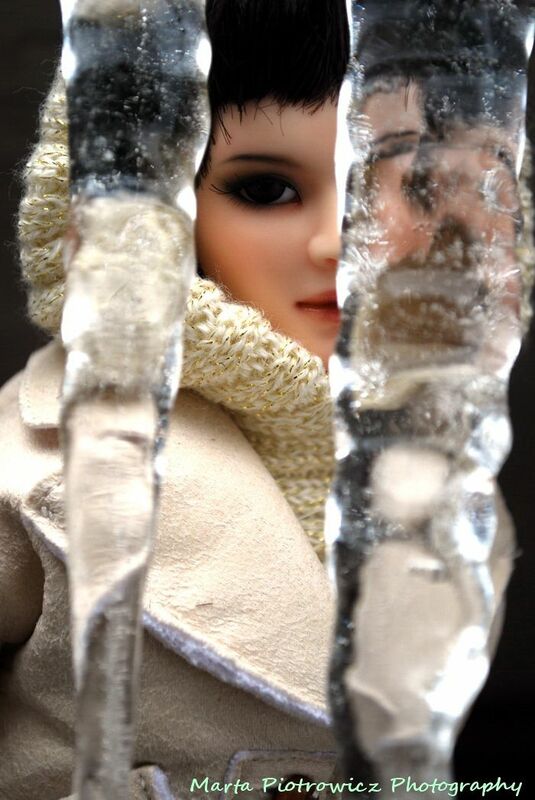 This icicle is special, just like you are to me. It is everlasting, it will never melt you see. So like our friendship, it will endure both good and bad. It will glisten in our laughter, and shine when we are sad. It will not melt away, so hang it on your tree. As a holiday reminder of what your friendship means to me." I światłem zagrał w sople jak w szklane klawisze... "
Oh Marta jak zawsze cudne zdjęcia i pięknie ubrane lalki. 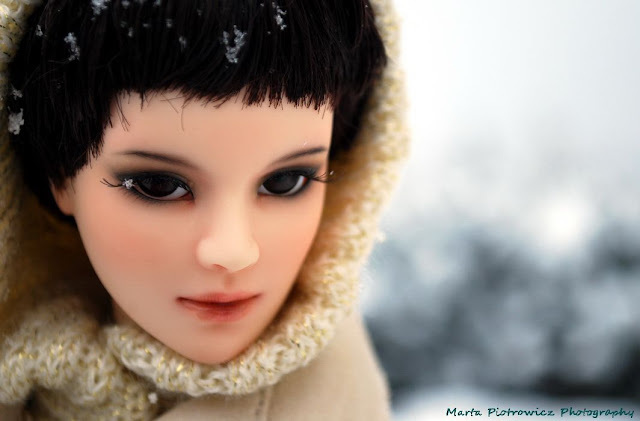 Alrunia: Thank you so much :) I am in love with dis doll (after her repaint, of course). 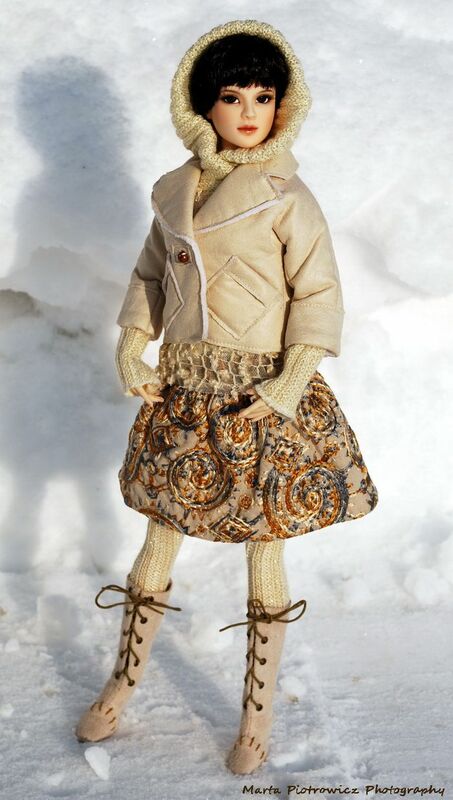 I do not like too big eyes on fashion dolls, alhtough Ashleigh looks very dollfie-like in those big ones. I have bought for her 6mm and 8mm glass eyes, so soon I will post some pics with smaller diameter eyes. I love these pics. I think the dress is an Ellowyne's one, isn't ? And the snow is probably polish, of course... lol. Marie, you were right - Ashleigh is wearing Ellowynes 'No Longer an Option' outfit ( I love Ellowyne's and Prudence's fashions - they are the best:). 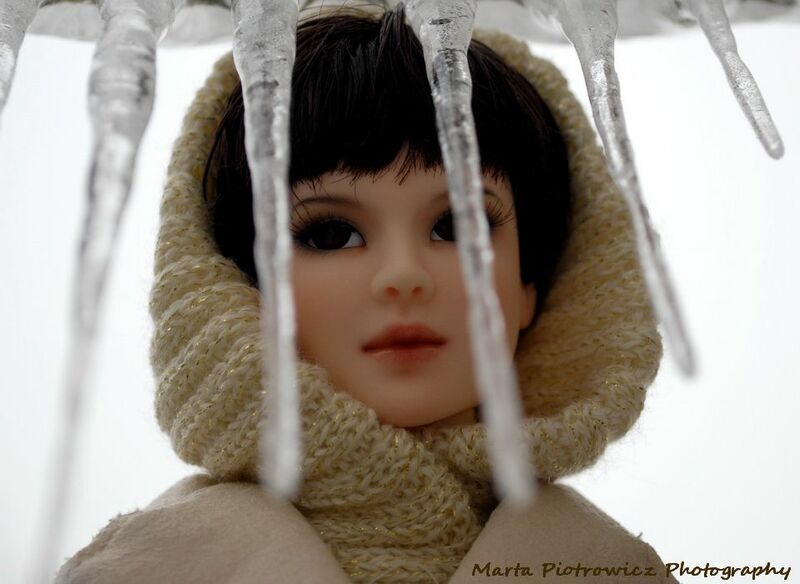 Beautiful photography, Marta! You really bring your subjects to life~! I have Agnes Dreary doll, it she repainted by Eff too? Znalazłam na Twoim blogu tyle cudownych zdjęć i lalek, że jestem nim zachwycona! Pozdrawiam serdecznie i ślę życzenia noworoczne!